The joint BBQ at Dromaan organised by the Cruising Club and Lough Derg branches of the IWAI was scheduled for Saturday, May 15th. 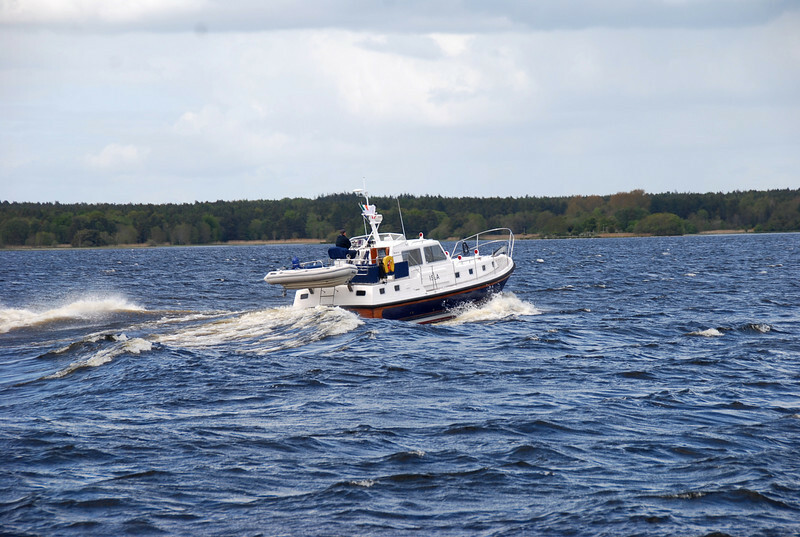 "Arthur" headed down on to Lough Derg at the 3pm Portumna Bridge opening on Friday and at a gentle speed we had an ETA of 17.04. This boat passed us, going in the opposite direction, and seemed to be in a hurry!